Email marketing is always changing. 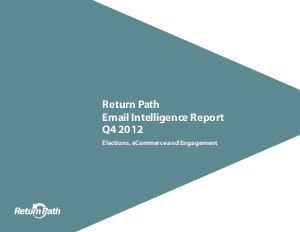 While overall read rates declined in Q4 2012, some marketers defied the odds with responsible, well-planned email sending strategies. However, as the top email marketers continue to test and optimize, new subscriber behaviors are changing the rules of the game. Download the “Email Intelligence Report” to tap into the latest data trends and analytics to optimize your email campaigns and email ROI.